Provenance Growers: A call to arms! This post was written earlier this year when draft legislation threatened, in theory, to make it illegal to sell eggs without submitting to regulation that would incur costs that make it impossible for small producers to bring eggs to market at a reasonable price. Our friends from Our Mate's Farm gathered 9000 signatures on their petition to the then Labour Primary Industries Minister, Bryan Green and received positive feedback. Since then we have had a change of leadership and we're holding an egg day, this Sunday, the 24th of August at Farm Gate Market hoping to begin a conversation with our new Liberal ministers about how they can support our small businesses and the wider Tasmanian community. Please come along, invite your local member or media personality, sign our petition and chat about the future of small agricultural and horticultural enterprise in Tasmania. As the Tasmanian draft regulations stand, initial accreditation for those with more than 20 hens will cost approximately $525. Plus annual fees (to DPIPWE) which depend on the number of employees, but start at $260, and an annual audit (to a private auditor) costs between $300 and $600. Fees alone would add at least $3.70 per dozen eggs to the cost of production in the first year for flock of just over 20 birds (which would be the situation we would find ourselves in as we gradually increase our flock size as the garden expands). If we add cost of legally required new cartons, feed and costs associated with bringing eggs to market, stall fees, fuel and insurance, it would cost us about $7.98 to sell a carton of eggs. A flock of 50 birds would spread the fees out further but in the first year fees alone would add $1.58 to the price of a carton of eggs. This doesn't take into account any amendments we might be forced to make to our egg packing area (our family kitchen) or the birds housing (a mobile a frame built for us by a friend). There would also be added labour due to additional administration requirements. I have heard a rumour that there may be other options, but in the absence of them being officially spelled out these are the figures we have to write our submissions from. As small producers, running a small number of poultry as part of our market garden system, we have a strong concern about the effect these regulations will have on our business as we slowly expand. Small, mixed enterprises like ours are a wonderful, low debt family business that provide us with meaningful, healthy work, in a enterprise that enriches our local community and provides you with access to local, fresh nutritious food, placed into your hands by the hands that grew it. We would love to see laws drafted and enacted in a manner that recognises the limitations of small, mixed businesses and seeks to support us in producing and marketing safe, fresh food, and communicates clearly, and in a way that is easy for busy farmers to understand. 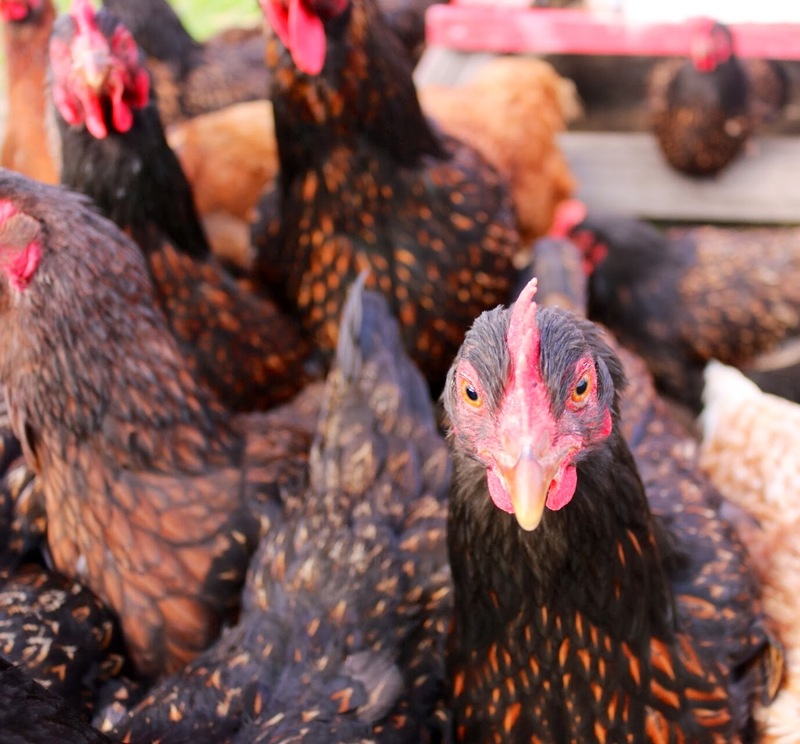 Throughout this process there have been people suggesting selling under the counter, selling eggs as pet food or looking for loopholes, but this is not the way we'd like to do business. We want to run a professional, transparent, ethical enterprise, pay tax, and fees where necessary, and to have the support of the Government to do so. I love the idea of my children learning the value of hard work and caring for livestock by running small flocks of their own to earn money toward university, a gap year, a guitar... We should enable young, or old, entrepreneurs and provide them with knowledge in how to produce safe food, not price them out of the market. We are not flippant about the risks involved with egg production. Salmonella is a serious health issue, particularly for those in the community with health problems, the main aim of our enterprise is to provide people with food that is safe, clean and nutritious. We believe that due to the short (nonexistent!) supply chain that our eggs take to get to market, the intimacy we have with hygiene and welfare of our small flock of hens, and the freshness of our product, that our eggs are a safe food. Other states, namely Victoria and New South Wales have higher limits on birds before fees and compulsory stamping kicks in, and they both provide supportive, clear information for producers on how to handle eggs safely. A few like minded, and hard working egg lovers have come together and written some suggestions that you could use if you'd like to add your voice and support our push to be allowed to use chickens as part of a mixed small holding, and cover their costs by selling eggs. Thank you so much for reading this far, and I promise to write about the garden or a plant next time! Please find our pointers below. Fewer than 20 egg laying birds For home purposes only (including eggs given away to family or friends) Nothing. Producers in this category are not required to stamp their product, nor is an audited food safety plan required. Fewer than 20 egg laying birds Home purposes plus some sold at markets, roadside stalls, and to friends, colleagues etc All eggs sold must be individually marked with a unique identifying mark or code. This can be done with a hand stamper provided to egg producers in this category on registration of their details with DPIPWE. No accreditation is required, however producers in this category are not exempt from the requirements of the Food Standards Code in respect to eggs for intended sale. More than 20 egg laying birds Mainly sold All eggs sold must be individually marked with a unique identifying code. Producers in this category require accreditation and an approved and audited food safety program (this requirement is already in place for producers in this category under the Egg Industry Act 2002 ). Note: Accreditation and auditing for those with more than 20 birds was already required (but not enforced) under the Egg Industry Act 2002, so the only new requirement for people who sell their eggs on roadsides, at their farm gate, market stalls etc is the stamping. What has also changed is the enforcement of the auditing and food safety program. Initial accreditation for those with more than 20 hens will cost approximately $525. Annual fees (to DPIPWE) depend on the number of employees but start at $260, and an annual audit (to a private auditor) costs between $300 and $600. Will stamping the eggs (traceability) of small to medium sized egg producers (those who sell directly to the consumer or to a single retailer) lower the incidence of salmonella poisoning in Tasmania? How many egg laying birds do you currently have? If you have more than 20 birds how do the accreditation fees impact your business? Should the 20 bird threshold be raised to take into account the increasing number of small to medium sized producers who raise hens as part of a mixed holding or integrated farming system? If so, what number of laying hens would define a small to medium sized producer? (As a guide, the threshold in NSW is 20 dozen eggs per week, and in Victoria it is 50 laying birds). Please click here for links to the act and to find out where to send your submission. Provenance Growers is a small, mixed market garden and edible plant nursery. We sell our produce to some of Tasmania’s leading restaurants and direct to domestic consumers at Farm Gate Market in Hobart. We feel the Tasmanian Primary Produce Safety (Egg) Regulations fail to recognise the limitations of smallholders to achieve compliance in a cost effective manner. It is the primary goal of our business to financially support our family whilst providing nutritious and, above all, safe food to our customers. We would love to see compliance and food safety issues addressed in an environment where small enterprises are nurtured by a bureaucracy that has an interest in the success of our enterprises, not just in our compliance. Our eggs are only sold direct to customers at Farm Gate Market for domestic use. Currently we maintain a flock of 18 laying hens and only sell a few dozen eggs each week. We sell our eggs in new cartons with a label outlining our methods of production, our contact details and date of lay and best before date. We know each customer who buys our eggs, and they know us. Traceability, in our situation is not an issue. Our flock are an integral part of our production system. We feed them spent crops and weeds, which they convert to manure that we then use in our composting system. They cultivate growing areas between crops, removing weeds and cleaning up insects and spoilt fruit thus eliminating the need for us to use agricultural chemical inputs and therefore increasing the marketability of our produce. We sell the eggs to cover the cost of supplementary feed for the birds, and also because we want to offer a wide range of produce to our customers. Our business is expanding as demand for our produce increases and we had planned to increase the size of our flock accordingly. The eggs on our market stall sell out within the first 5 minutes of the market opening for trade and we are asked throughout the trading period for more. We retail the eggs for $7 a dozen. We feel that after costs this provides a reasonable return for our labour, caring for birds, packaging and bringing eggs to market. The new fee structure would add a minimum of $3.70 per dozen in fees in the first year as we build our flock. We hatch chicks under broody hens so we anticipate the growth of our flock to progress slowly. The lack of a sliding scale in the fee structure does not allow for this, as it begins as soon as you increase beyond 20 laying hens. We calculate our cost of production, packaging and market fees for 21 laying hens to be $4.25 per dozen eggs so when the first year fees are added our break even for a dozen eggs would be $7.95. As well as the financial impost, we are concerned at the time it would take us to achieve compliance, and also at any infrastructure changes that may be required following auditing. Our poultry housing structures are made from recycled materials and our packing area is our domestic kitchen. The definition of an egg laying bird is also of concern to us. The draft defines this as “a female bird that has reached a stage of growth where the bird is capable of laying eggs.” In our current flock we maintain older hens who lay irregularly but are valuable to us as broody hens. We also maintain a strain of Rhode Island Reds as meat birds for personal use but they share housing with our laying birds. If these birds are included in the flock number allowable, and should we choose to operate with fewer than 20 birds, this places us at a distinct financial disadvantage to producers who run flocks of commercial hybrids and cull spent fowls. Implementation of a food safety scheme and making time for inspections will prove logistically difficult for us. Eggs from our 18 birds provide about 2% of gross farm income and a small increase in flock size, to above the threshold, will not increase this percentage greatly. The administrative burden to achieve compliance would render it impossible for us to increase our flock size and remain efficient in terms of time use in relation to income.Refer to Part 2, 13 of the act. · A review into the allowable flock size. We feel that in our mixed enterprise we can safely handle, and sell directly to domestic consumers, the eggs from 100 birds and a flock of this size will prove invaluable from a weed management and soil fertility perspective as the scale of our business increases. Our children have expressed interest in raising birds as a source of income and legislation should be written to allow for the reality of family businesses and to foster entrepreneurs by giving them safe guidelines to work under. Victoria and NSW both allow for larger flocks than Tasmania. · Recognition that small, mixed holdings do not have the administrative capacity of large, industrial egg producers. In the case of our business there are two full time operators. It has taken at least 24 hours of work time to read, interpret and collate our input for this submission. This is a critical expense for a small, fledgling business. · A review into the definition of ‘Laying Bird’ to allow for older hens, broody hens, domestic flocks on mixed holdings and breeding stock. · We question the role of stamping as a method of reducing the incidence of food borne illnesses. The incidence of salmonellosis in Tasmania has remained relatively static, from 204 in 1991 to 232 in 2013 (the number of cases peaked at 302 in 2005). Queensland introduced egg stamping as a means of tracing the source of salmonella in 2007. 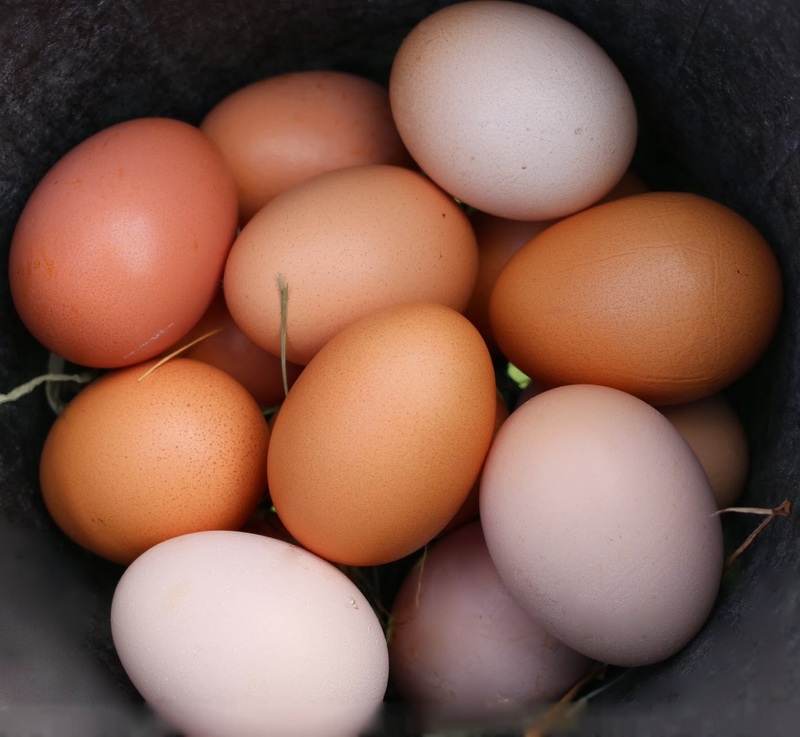 The incidence of salmonellosis in Queensland rose from 2363 in 2007 to 3092 in 2013 (Australian Government Dept of Health, 2013) We advocate for an educative path for small producers and consumers in the safe handling of eggs and egg products. Producers who sell fresh eggs into the local domestic market will not create the same traceability issues as large producers who store, ship, wholesale and /or process eggs. · We would also like to see evidence of the risk posed by clean, used egg cartons. To reduce costs and lessen the environmental impacts of our business reusing cartons would be of great benefit. Labelling issues are easily addressed by removing old labels from cartons. We also question the requirement for our business address to be printed on cartons. As we would be registered with the Department this would negate the need for small, domestic producers addresses to be shown, and allow privacy for us as operators who live with our families on the site of their business, we are happy to provide our phone numbers and email address. · Recognition of the value of small mixed holdings, or small poultry enterprises as a low debt business for people wishing to contribute to the Tasmanian economy. Legislation should be drafted in such a way that it enhances food safety and the viability of small business. Well written and beautifully, practically put. Fists in the air Paulette. Nice submission. Excellent information. Where is the link to the petition?